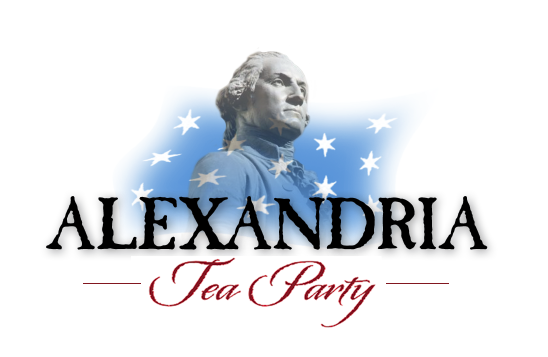 In case you missed it, Tea Party Patriots Citizens Fund endorsed Donald Trump for President on Thursday. Our endorsement process kicked off last December, and throughout the process, we have taken direction from you, our grassroots activists and supporters. The choice between Hillary Clinton and Donald Trump is, we believe, an easy one, and we are kicking off our volunteer activities to help Trump win the White House and help the GOP retain control of the Senate. In our endorsement release, we noted the stark contrast between Hillary Clinton's policy positions and Donald Trump's. Whereas Hillary Clinton stands opposed to our tea party principles and priorities, Trump has embraced them. From our release: "The simple fact is this: With a Republican House and a Republican Senate and Donald Trump in the White House, Tea Party members and supporters will be far more likely to see our preferred policy choices enacted into law: We are far likelier to see the future of the Supreme Court protected, the borders secured, terrorism fought effectively, ObamaCare repealed, the national debt reduced, and the tax code reformed in such a way that the economy is energized and job growth soars. Read our full endorsement here. A separate mailing has been sent to ATP members. It's a great event; hope to see you at our booth. The Anticommunism Action Team (ACAT - run by an ATP executive committee member) will have a table at this event. Stop by! The event will be livestreamed, if you can't be there in person. You are invited to the final event for Spotlight this year. Spotlight on Special Americans debuted last October with a war veteran and Constitutionalist, and ends the year with one. It is an honor to introduce Mr. Don Fotheringham, a WWII veteran and a Constitutionalist who has been defending our Constitution for many years, and warning of the risks of an Article V Convention to amend /change our Constitution, referred to as a Con Con. Mr. Fotheringham is the author of the book, The President Makers: How Billionaires Control US Foreign Policy. There has been a movement since the 1960s to change our Constitution by numerous groups on the left and the right to amend the Constitution through a convention. Since 1989 Mr. Fotheringham has testified in 23 state legislative sessions seeking either to repeal existing Constitutional Convention (Con Con), resolutions or to block new ones. He has had remarkable success. ** Admission ** - $15 CASH ONLY - Includes all you can eat buffet dinner, dessert, soft drinks, tax and tip. All clubs are encouraged to share this invitation with your members. Elected officials and candidates should try to attend this event. Please share this with one or more Virginia legislators. Mr. Fotheringham is a Marine veteran of WWII who was at Iwo Jima. He is a graduate from the University of Utah with a degree in political science. As the Cold War escalated, Don realized that freedom won on the battlefield was being lost in Washington. He realized that America's foreign and domestic policies were in serious violation of constitutional limits on the power of government. That's when Don "enlisted" in a whole new kind of war - a war to alert his fellow citizens to questionable loyalty in high places and threats to the U.S. Constitution. In 1983 Mr. Fotheringham discovered a well-organized movement to hold a new constitutional convention. He was alarmed because such a convention can make unlimited changes in the Constitution. He found that 32 of the 34 states (the two-thirds required to trigger a federal convention) had passed legislation for a convention on their intent to get a Balanced Budget Amendment added to the Constitution. Mr. Fotheringham currently lives in Utah. Why don't they try to reign in the out of control costs associated with medical treatment? Republican House has proposed cutting. * Corporation for Public Broadcasting Subsidy -- $445 million annual savings. * Save America 's Treasures Program -- $25 million annual savings. * International Fund for Ireland -- $17 million annual savings. * Legal Services Corporation -- $420 million annual savings. * National Endowment for the Arts -- $167.5 million annual savings. * National Endowment for the Humanities -- $167.5 million annual savings. * Hope VI Program -- $250 million annual savings. * Amtrak Subsidies -- $1.565 billion annual savings. * Eliminate duplicating education programs -- H.R. 2274 (in last Congress), authored by Rep. McKeon , eliminates 68 at a savings of $1.3 billion annually. * U.S. Trade Development Agency -- $55 million annual savings. * Woodrow Wilson Center Subsidy -- $20 million annual savings. * Cut in half funding for congressional printing and binding -- $47 million annual savings. * John C. Stennis Center Subsidy -- $430,000 annual savings. * Community Development Fund -- $4.5 billion annual savings. * Heritage Area Grants and Statutory Aid -- $24 million annual savings. * Trim Federal Vehicle Budget by 20% -- $600 million annual savings. * Essential Air Service -- $150 million annual savings. * Technology Innovation Program -- $70 million annual savings. *Manufacturing Extension Partnership (MEP) Program -- $125 million annual savings..
* Department of Energy Grants to States for Weatherization -- $530 million annual savings. * Beach Replenishment -- $95 million annual savings. * New Starts Transit -- $2 billion annual savings. * Inter-city and High-Speed Rail Grants -- $2.5 billion annual savings. * Title X Family Planning -- $318 million annual savings. * Appalachian Regional Commission -- $76 million annual savings. * Economic Development Administration -- $293 million annual savings. * Programs under the National and Community Services Act -- $1.15 billion annual savings. * Applied Research at Department of Energy -- $1.27 billion annual savings. * Freedom CAR and Fuel Partnership -- $200 million annual savings..
* Energy Star Program -- $52 million annual savings. *Economic Assistance to Egypt -- $250 million annually. * U.S. Agency for International Development -- $1.39 billion annual savings. * General Assistance to District of Columbia -- $210 million annual savings. * Subsidy for Washington Metropolitan Area Transit Authority -- $150 million annual savings. *Presidential Campaign Fund -- $775 million savings over ten years. * No funding for federal office space acquisition -- $864 million annual savings. * Repeal the Davis-Bacon Act -- More than $1 billion annually. instead of allowing it to remain as part of its budget -- $1.8 billion savings over ten years. *Require collection of unpaid taxes of federal employees -- $1 billion total savings. WHAT'S THIS ABOUT? * Prohibit taxpayer-funded union activities by federal employees -- $1.2 billion savings over ten years. * Sell excess federal properties the government does not make use of -- $15 billion total savings. *Eliminate death gratuity for Members of Congress. WHAT??? * Eliminate Mohair Subsidies -- $1 million annual savings. * Eliminate Market Access Program -- $200 million annual savings. * USDA Sugar Program -- $14 million annual savings. * Subsidy to Organization for Economic Co-operation and Development (OECD) -- $93 million annual savings. * Eliminate the National Organic Certification Cost-Share Program -- $56.2 million annual savings. *Eliminate fund for Obamacare administrative costs -- $900 million savings. * Ready to Learn TV Program -- $27 million savings..
My question is, what is all this doing in the budget in the first place?! Maybe this is why the Democrats are attacking Paul Ryan.